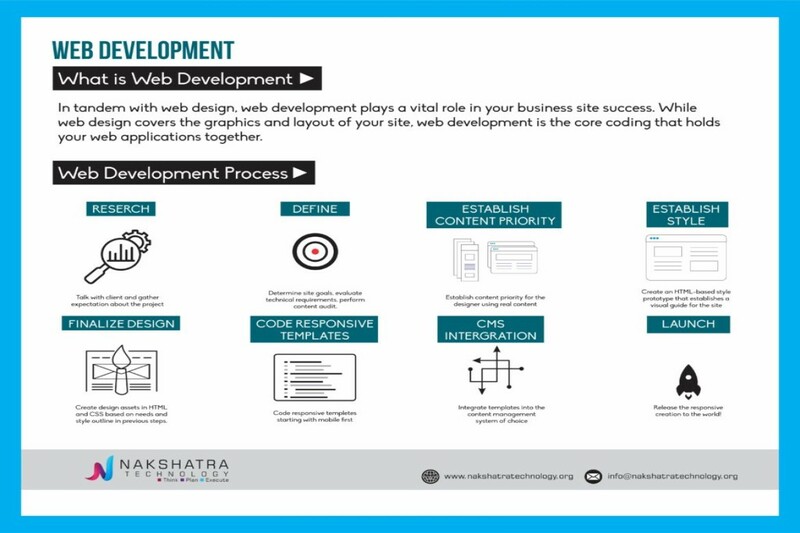 Nakshatra Technology are creative and techno-savvy Which enables better control and visibility into your web development and design project— by required project development methodologies with robust project management tools and domain expertise to deliver end-to-end web development solutions. Nakshatra Technology a top web development companies of the India, offers the pre-eminent web design & development services to our clients worldwide as we believe in the long term relation with our clients. Apart from we provide affordable website development & design. We offers servcies like web design & development solution which conduct with the front end & back end interface, & mobile web & app design & development solution with various CMS & framework to shape your thought in to a flexible Layout.